DLK’s filler treatment is a safe and effective solution for people who are concerned with volume loss in the cheeks, cheekbones and around the chin. This injectible hyaluronic volumiser re-contours the face to restore volume to chin, cheeks, and cheekbones that have become hollow or thin due to weight loss or age-related facial fat loss. Immediately after the treatment, facial contours appear fuller and rounder giving the face a softer, more youthful appearance. Depending on the course of treatment chosen, patients will enjoy fuller cheeks, firmer, higher cheekbones, and a marked return of the smooth jowls and jawline and a firmer chin with lasting results. The lifting effects of the treatment have been shown to last up to 18 months. Smoother consistency, more natural-looking results. Results are instant, and long lasting and provide a rested, refreshed look. Quick lunch-time treatment with no down time. 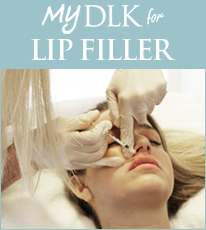 DLK’s Injectable Treatment procedure takes place in a medically supervised clinic after a consultation. A customized treatment program will be developed and each patient’s individual concerns and goals will be met. The area to be treated will be cleaned and the actual treatment takes from 20 to 30 minutes. A hyaluronic acid filler will be injected into the treatment site (e.g. cheeks, cheekbones, and/or chin) with a small needle. After the injection, your face will be massaged at the treatment sites to make sure the product is properly distributed and the results are even. Only experienced physicians or Registered Nurses who have had specific training on using facial volumising products and in using this particular injection technique are authorised to perform this treatment. Before you leave, ice may be applied to your treatment sites for at least 10 minutes to help minimize swelling, inflammation, and bruising. Injectable fillers results are typically immediate and often a single treatment session will achieve the desired improvement in the area of concern. No injectable is 100% permanent and all will require repeat injections to maintain the desired effect.